In Gerald Murnane’s infamous archives, the reclusive Australian writer has files titled ‘I give up writing fiction — again!’, ‘(Yet again) why I stopped writing’, and ‘Should I tell Literature to get fucked?’ How did Murnane get to be so disillusioned with his place in Australian literature? 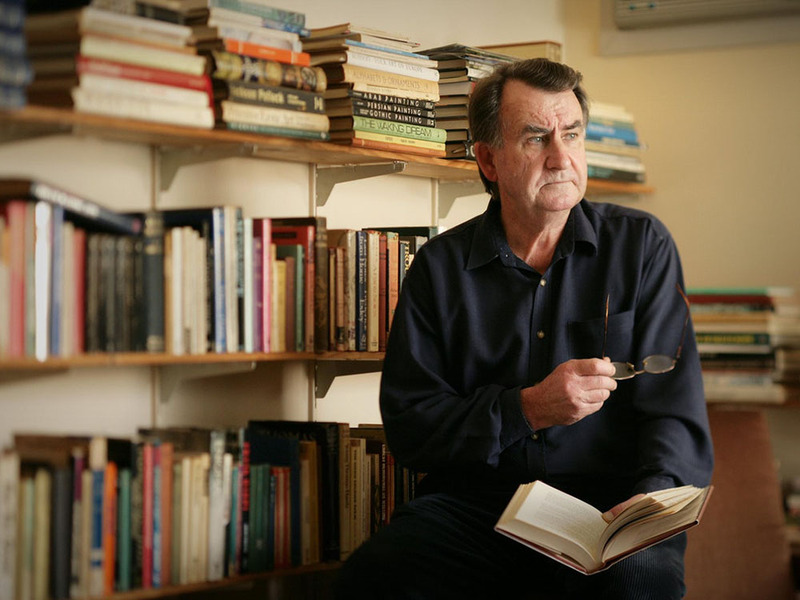 The first half of his writing career, beginning with his début novel Tamarisk Row (1974) and ending with the short story collection Emerald Blue (1995), was marked by publishing precarity which, according to Murnane, necessarily skewed the writing. “Every one of my books was a compromise between what I would have liked to write and what I suspected would be marketable from a publisher’s point of view,” Murnane says in the documentary Mental Places. 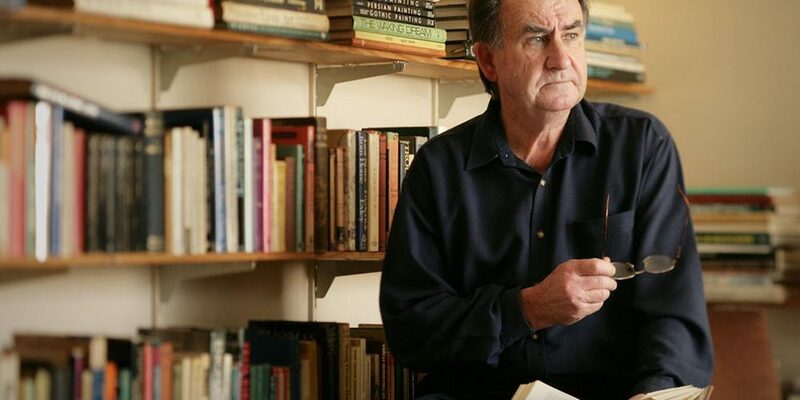 “I was never free to write simply what I wanted to write.” While working on the unpublished novel O, Dem Golden Slippers, Murnane’s doubts that it would find a receptive publisher caused him to lose his grip on the text. He put it aside and decided to stop writing fiction for publication altogether, instead directing his creative energies to adding material to his archives — a space in which he could exercise the freedoms he longed for without inhibition. The second half of Murnane’s career began over a decade later. Ivor Indyk, publisher of Sydney-based press Giramondo Publishing, asked Murnane to return to writing fiction with a guarantee that Giramondo would publish and support the output. Barley Patch (2009), A History of Books (2011), and A Million Windows (2014) all come from this period and demonstrate a cohesiveness of creative vision which, depending on one’s literary tastes, either enchants or bewilders. This sequence of books can be characterised as a literature of image visualisation, and the imagery that runs throughout it will be familiar to anyone who has read any of Murnane’s writing: the marbles, the horse races, the stained glass, the plains, the church. In his later books especially, Murnane has obsessively pursued the evocations of this imagery to their limits, demonstrating in the process that those limits are unexpectedly vast. Indeed, he has built an entire body of work on this pursuit. The result is unlike anything else not just in Australian literature, but in the literature of the English language, and its development, extending from Tamarisk Row through the novels of Murnane’s renaissance, has now been fully realised in Murnane’s latest and apparently final novel, Border Districts. Farrar, Straus and Giroux. $22.00. The unnamed narrator of Border Districts moves from a large city to a remote township and makes the intentions behind his withdrawal clear from the outset. In the borderlands, he is free to meditate on the images that have remained in his memory throughout his long life, and, two months after having moved there, he begins writing a report on what he calls his “image-history”. The images range from those associated with his loss of faith as a child to the evocations of an interview with a writer he heard on the radio, to the house he stays in when he visits the city. Moving from one image to the next, undertaking a ponderous examination of each, meditating on their connotations and connections, seeing what meanings and feelings can be unearthed from them, he immerses himself in the memory fragments he is able to call to mind. The images — some of them more than sixty years old — are of value to the narrator for the sheer fact that they have been retained. He believes that those which have faded from memory were unimportant, carved away by time so that the memories left behind shine polished and bright. Each one is an image he has meditated on before, but by removing himself from the responsibilities of city living he can now devote his full attention to them, turning them all over like a kaleidoscope in his mind, yielding an endless range of subsequent images that produce exciting new patterns. In writing and in interviews, Murnane has spoken about his holy trinity: words, images, and feelings. These three phenomena are his version of the divine manifestation and constitute the foundational elements of his writing. “Imaginative literature comes from the same source as religious devotion,” he says in Mental Places; Border Districts is a book about this literary-religious dynamic and its peculiarities. The monastic connotations of removing oneself from the confusion of the city to a quiet and isolated town to meditate on memories are present from page one. The narrator accepts his isolation with the zeal of a monk in a hermitage, eager to escape the visible world for the invisible one: “I moved to this district near the border so that I could spend most of my time alone and so that I could live according to several rules that I long wanted to live by.” The narrator’s reveries are directly and indirectly grounded in his Catholic upbringing and his “religious formation”, and, in a way, Border Districts amounts to a record of the narrator’s religious formation as a literary experience: his growing devotion to the god of words, images, feelings. The “remembering man” of the text has moved to the periphery because it is where the profound is to be located. In Murnane’s mind, and explicitly in the late novels leading up to Border Districts, peripheral spaces are where the visible world and the invisible meet. They are therefore the spaces in which fiction comes to be, and indeed, many of the narrator’s images are drawn from what he has read in books and retained as vividly as certain images from the visible world. In Murnane-speak, the term “fiction” benefits from its elasticity; the rigid accuracy of quantifiable fact can be ignored in favour of the precision of the image in the narrator’s mind. Whether the image-memory is accurate or not, or originates in Murnane’s own image-history or not, is absolutely inconsequential. The temptation to conflate narrator with author is ever-present in Murnane’s fiction. There are numerous reasons for this, and Border Districts is no different: Murnane wrote this novel when he moved from the city of Melbourne to the town of Goroke, not far from the border of his home state of Victoria; his emotionally and tonally neutral prose is typically composed in the first person and describes events that echo his own private experiences; and many of the images that his narrator holds dear align with those that Murnane himself clearly values — those which he has built his body of work on. 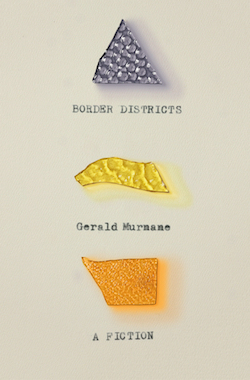 The narrator of Border Districts actually heightens the temptation to view him as a Murnane surrogate: he calls himself “a student of mental imagery” who believes that “a state of mind is incomprehensible without reference to images”; he finds some words so strongly linked to particular memories that he can’t resist following his thoughts wherever they lead and possibly rediscovering a lost mood evoked by an image; and he writes his report in a way that is so matter-of-fact that it incorporates the act of writing the report. “I am not writing a work of fiction,” he insists, “but a report of seemingly fictional matters.” Indeed, the narrator almost dares the reader to confuse him with his creator, executing a move in a metafictional game between author and reader in which the former tries to lull the latter into believing that his remarks afford a glimpse, via a proxy, into the author’s soul. Yet Murnane has repeatedly warned his readers against giving into this temptation. For him, there is a distinction not only between author and narrator but also between the “implied author” and the “breathing author”, terms adopted from the theoretical writings of the American literary critic Wayne C. Booth. His “ideal reader”, he says, is one who recognises the autonomy of the narrator and trusts absolutely in the truth of the narrator’s words. This trust will be reciprocated insofar as to enter into the fictional world created by Murnane — to spend time in the border districts — is to experience what he labels “true fiction”. Put your trust in the narrator of Border Districts, then, and you’ll understand why the novel takes the form of a report: it relates matters of narratorial fact. The narrator really does think these things, really does have these memories, really does prefer to occupy the border districts physically and mentally. The narrator’s insistence on the truth of his disclosures forms the fabric of the text, and he reinforces the text’s reportness by telling the reader what he or she could have expected had Border Districts been a work of fiction. Which it isn’t. But of course it is. This explicit denial of its own form and source material isn’t unique to Border Districts. It’s a key element of what makes Murnane’s writing so unusual, and it’s often what is at stake in his fiction. For Murnane, fiction takes place entirely in the realm of the mind. This automatically precludes realist fiction from thriving in his borderlands. “An author demeans fiction,” Murnane writes in A Million Windows, “if he or she requires the reader to believe that what happens in his or her mind while reading is no different from what happens over his or her shoulder or outside his or her window.” Absent from his books are plot, dialogue, and even characters in E.M. Forster’s sense of the term. “A true work of art in no way depends for its justification on its seeming connections with the place which many call the real world and I call the visible world,” Murnane writes. He strives not for an essence of reality but for an essence of image. For this reason, it’s fair to consider A Million Windows the closest companion to Border Districts. It illuminates much of what Murnane executes in the more recent book. Taking its title from Henry James’ preface to The Portrait of a Lady — “The house of fiction has in short not one window, but a million” — A Million Windows is narrated by a figure who uses James as a model for the kind of writer he and others in his milieu want to be. The book also literalises the metaphor of a house with many windows, depicting a dwelling whose resident writers both observe the outside world and seek refuge from it. The house of fiction in A Million Windows exists at the point where the real and the imaginary meet, at the collision of the visible and the invisible worlds, and now, in Border Districts, Murnane escorts us across the territory on which the house has been built: the borderlands, an entire realm of discovery and escape. Inherent to this fiction-as-discovery is the act of repetition, of revisiting what has been written of before. Border Districts even begins with a reference to Murnane’s earlier work: the opening sentence rewrites the first line of his best-loved novel, The Plains (1982). But rather than seeking out the approval of unknowable plainsmen, the narrator of Border Districts seeks interiority, choosing to explore not merely a physical territory but a mental territory inside a physical one. Since the beginning of his career, Murnane has been striving to access an invisible world through his writing — a dimension in which the words, colours, and feelings of the real create the fabric of the imaginary; a realm that is, in Murnane’s hands, seemingly without limit. His fiction occupies itself with the aforementioned holy trinity and in doing so pushes out the boundaries of what fiction can be. Especially in the more recent novels, Murnane has been uncompromising in his explorations, the surprise of what he himself finds in the borderlands of his mind compelling him onwards, and inwards. 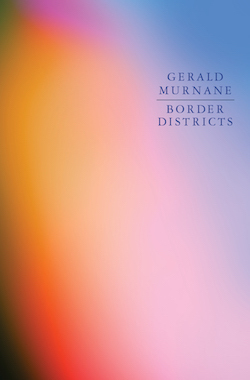 The question that Border Districts leaves readers facing, then, is not whether Murnane has finally found some sort of limit to the borderlands — because, after all, he has once again quit writing — but whether his exploration of their farthest reaches has come to a satisfying end. While it might be the last novel, I can’t say for sure that the project has come to an end at all. For one thing, as the remarkable culmination of a lifelong project that continually strikes resonances with Murnane’s earlier books, Border Districts actually encourages readers to read on by reading backwards. This isn’t to say that readers who aren’t familiar with Murnane will find it an ideal place to begin; it assumes some knowledge of his habitual interests, and, despite his insistence otherwise, his prose takes time and effort to penetrate. But given its repeated allusions to his broader body of work, readers who have followed Murnane to this point are unlikely to see Border Districts as the definitive end of the journey. For another thing, Murnane has orchestrated a situation that will more strongly incite readers to return to his novels, in time and under his guidance. The control he has exerted over his career — to end it himself not once, but twice — is indicative of an impulse to influence how his writing is read, and so is the other lifelong project he has worked on in parallel to the published one. In putting together his extensive archive, which is to remain off-limits until after his death, Murnane has future-proofed his legacy by offering future readers an obsessive catalogue of his internal and external worlds. Its opening will surely provoke a new bloom of interest in his work at minimum, if not a full-scale reassessment of his life and output — and on his terms. Of course, maybe Murnane’s maintenance of his archive, and his attempts to quit when he wanted to, were merely his way of wresting back what little control he could from publishers, the Australian literary industry, and even the universe. Projects like the one he has now completed are winding, complicated, and — I would agree with Murnane on this point — rarely the product of any real planning. Given its uncertain, compromised beginnings and the way it tapered off in the 1980s and 1990s, Murnane is very fortunate to have been able to decide on an ending at all — let alone an ending that simultaneously looks to the past and promises more in the future. We have the books now but we don’t have all the writing; the project is complete but it will continue to unfold in private; everything could so easily have been otherwise. One day, when those archives are opened, it will become otherwise in ways we can’t predict.